Natural range: Not clear. This weedy species is widespread globally. Habitat: Open, wet areas, ditches, roadsides, median strips in freeways, along railroad tracks, marshes. 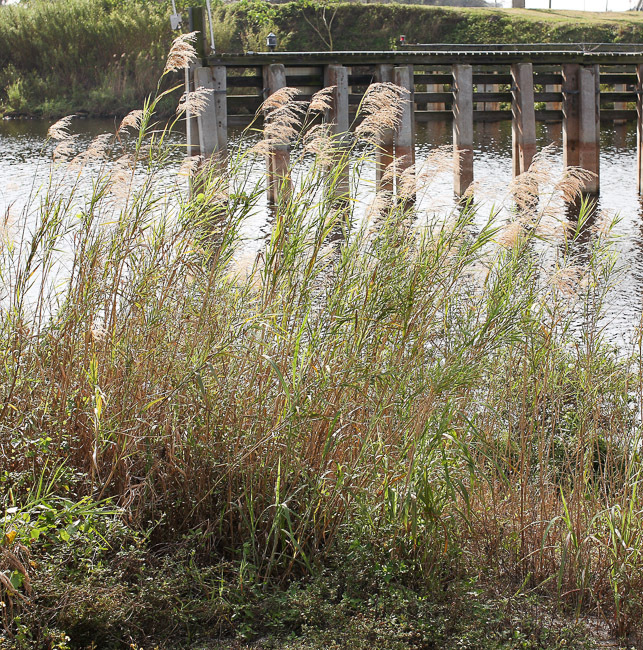 Recognition: Enormous cane often seen rising with a plumose inflorescence from wet ditches. 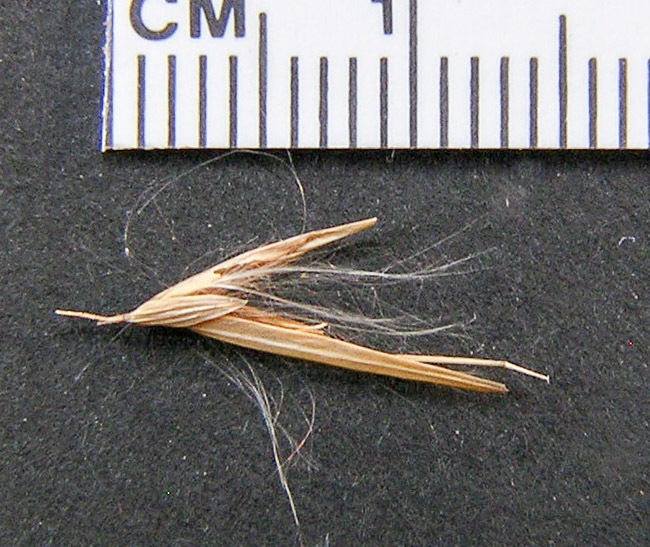 Ligule small (1 mm vs. > 2 mm in Saccharum). Leaf blades not auriculate (as opposed to Arundo and Hymenachne) and without the light basal coloration characteristic of Arundo. 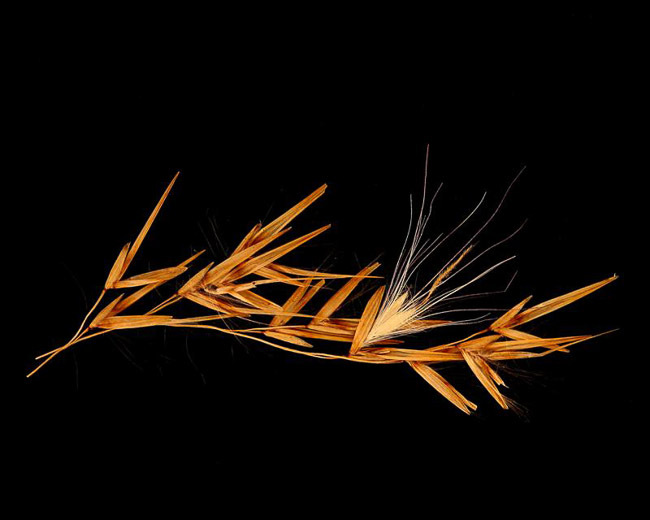 Spikelets unawned (vs. Saccharum giganteum). Internodes pubescent (vs. glabrous in Neyraudia) and lemmas glabrous (vs. pubescent in Neyraudia). 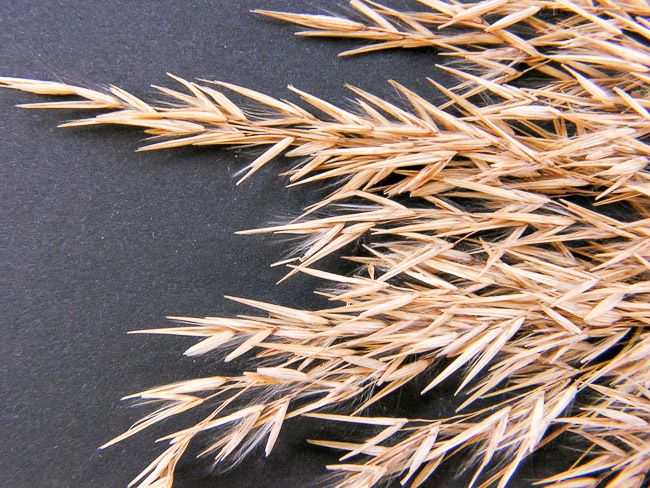 Quote from Flora of North America: "Plants of Phragmites are similar in overall appearance to Arundo, but the latter has subequal glumes, a glabrous rachilla, and hairy lemmas. 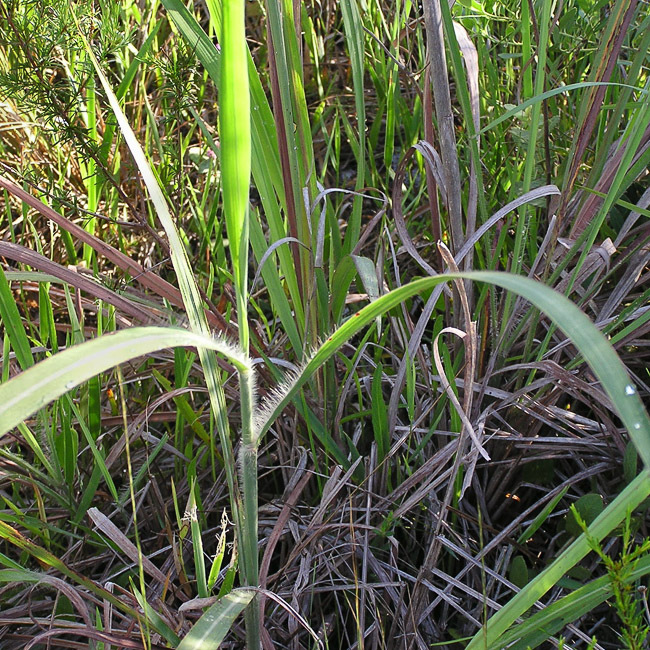 Vegetatively, plants of Arundo, but not those of Phragmites, have a wedge-shaped, light to dark brown area at the base of the blades. 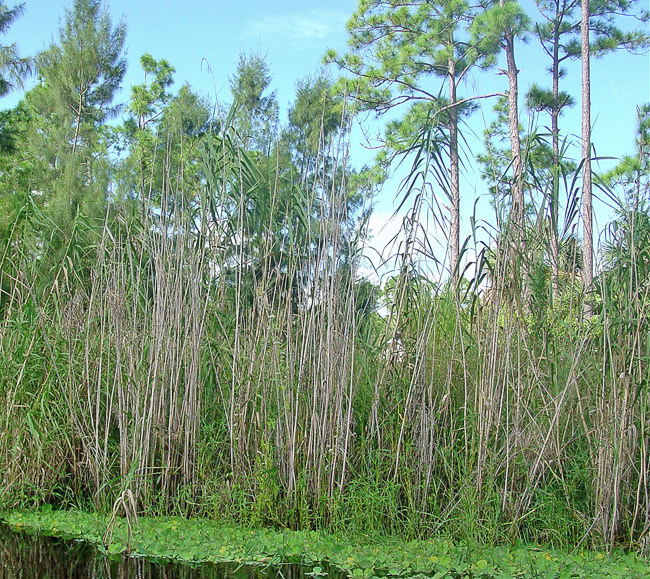 They also tend to have thicker rhizomes, thicker and taller culms, and wider leaves than Phragmites, but there is some overlap. 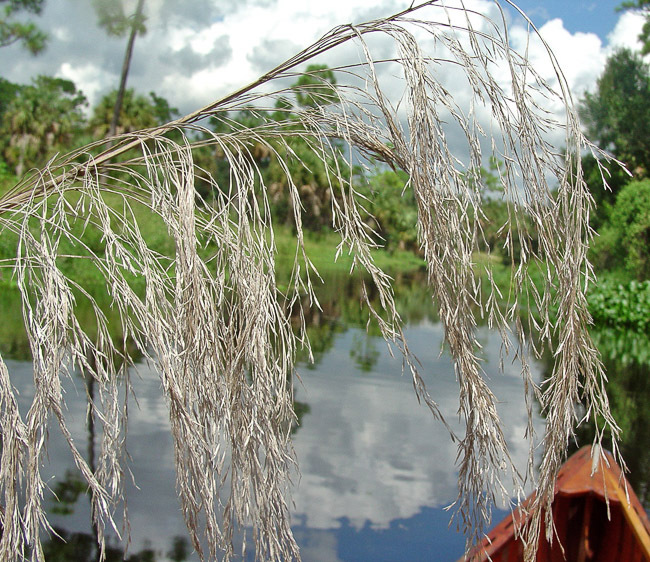 Phragmites is much more widely distributed than Arundo in North America."